The Utopia armchair was created and designed by Lacaze London as part of our new collection for 2018 In Pursuit of Atlantis. 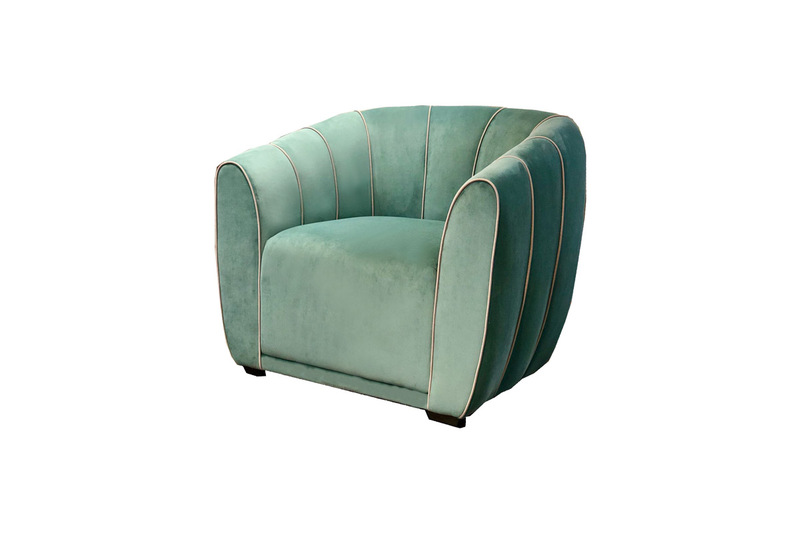 The piece features a comfortable fixed seat and pillowed back in the shape of a clam shell. If you are interested in a piece from our collection with different dimensions or finishes, or require a totally bespoke piece, please contact us with sketches, drawings or inspiration images and we will be happy to advise.